St. John's is a wooden Church building seating upto 70 people. The Church is located in West Warwick, in a parkland setting, some three (3) kms from St. Mark's and was re-wired in 1988 and re-painted in 1995). The building can also double as a Hall. 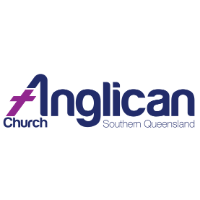 Services are held at 10.30 am on the first and third Sunday and use An Australian Prayer Book (AAPB2 service).